Wind Cave, located in southwest South Dakota, is touted as the world’s most complex cave and is in the top ten largest caves in the world. About 100 miles of the cave has been mapped, which is quite impressive, especially when you pause to imagine 100 miles of multi-level, complex, rugged, dark underground terrain that reaches depths of 500 feet below the earth’s surface. Still, the most mind-blowing statistic is that per scientists’ estimates, only about 10% of the cave system has even been explored. 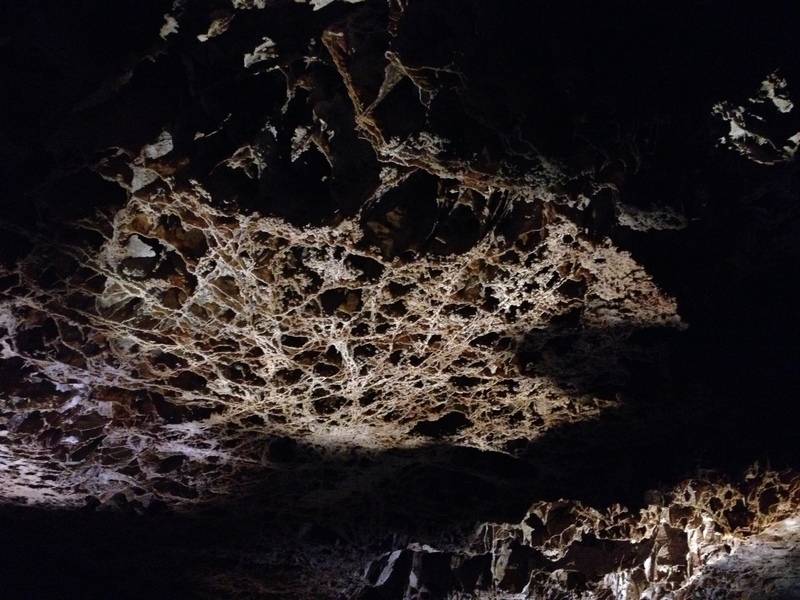 Wind Cave’s name reflects the principle of “barometric breathing”. Basically, the cave “breaths” (i.e. sends air out and pulls air in through above-ground holes and natural entrances) according to air pressure differentials between the inside of the cave and the outside above-ground world. When the air pressure inside the cave is higher than the above-ground air pressure, air leaves the cave (the cave “breaths” out). When the air pressure outside the cave is higher than that inside the cave, air moves into the cave (the cave “inhales” or “breaths” in). Legend has it that a local man discovered the cave when he noticed a small area of grass moving as though swaying in the wind, which was a curious sight on an otherwise still day. He went to investigate, and when he peered down into the cave’s hole (or small natural entrance), the air moving out of the cave blew his hat straight off his head. 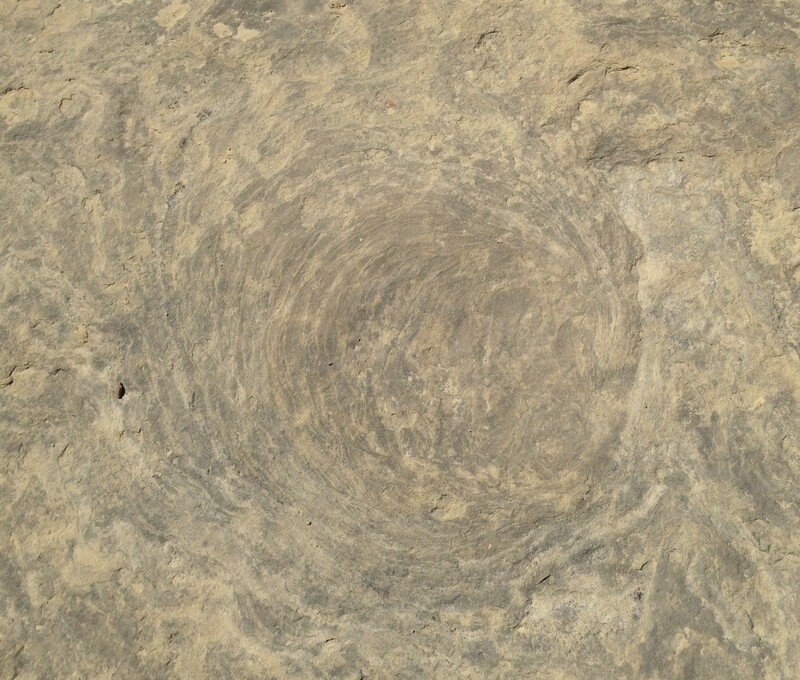 He returned later with friends to show off his discovery, and this time, when he knelt down next to the hole, the cave sucked his hat right down into the abyss! Wind Cave is also unique for its large concentration of boxwork, a super delicate erosive formation that actually formed before the cave itself and is now naturally preserved and protected by the cave environment. Boxwork is plentiful inside Wind Cave – it lines walls and ceilings in some parts of the cave – but extremely rare elsewhere. Wind Cave actually houses 95% of the world’s known boxwork. 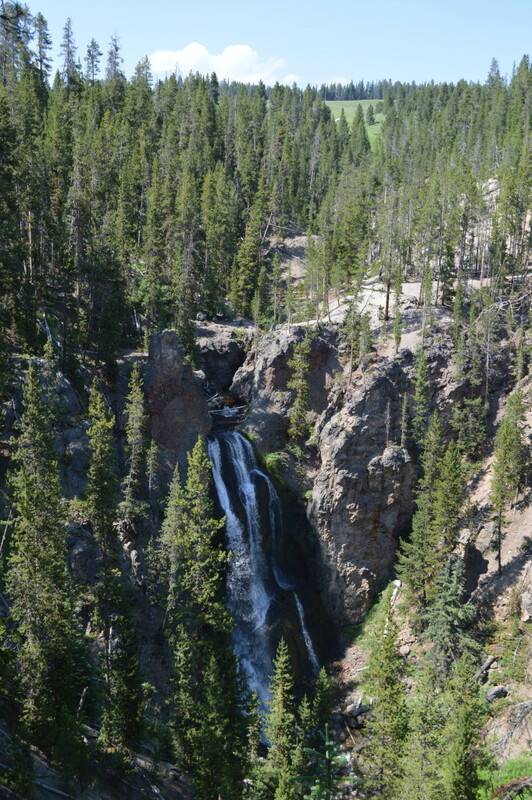 Lastly, Wind Cave is considered a dry cave in that it has limited active water flow and is finished forming. However, some ground water does slowly seep to the bottom of the cave, some 500 feet underground, where it’s found in aquifers. On its way down, the water travels through such an extensive system of natural purification that it’s the second purest water in the world after that found at our polar ice caps! The only way to see any part of the cave is to take a ranger-guided tour. 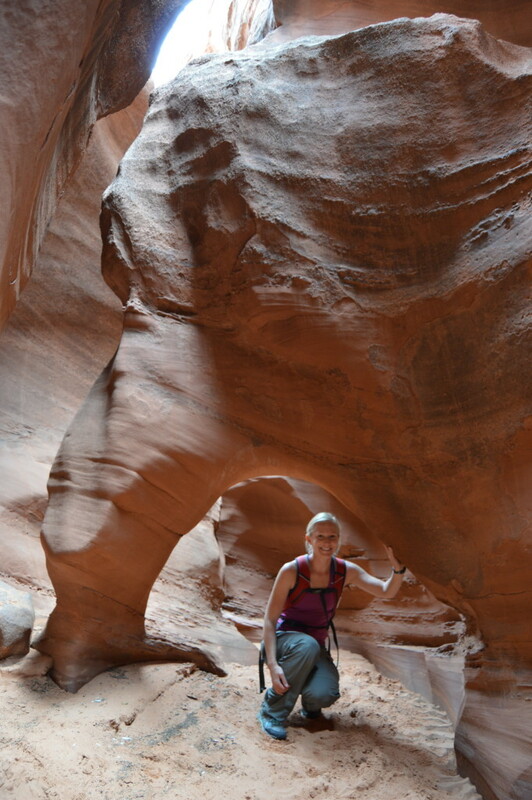 Only one tour goes into the undeveloped “backcountry” of the cave, and it was booked out a little too long for us and was on the edge of our budget comfort-level. Thus, we signed up for The Fairgrounds tour, the next best option in terms of length (both time and mileage wise). 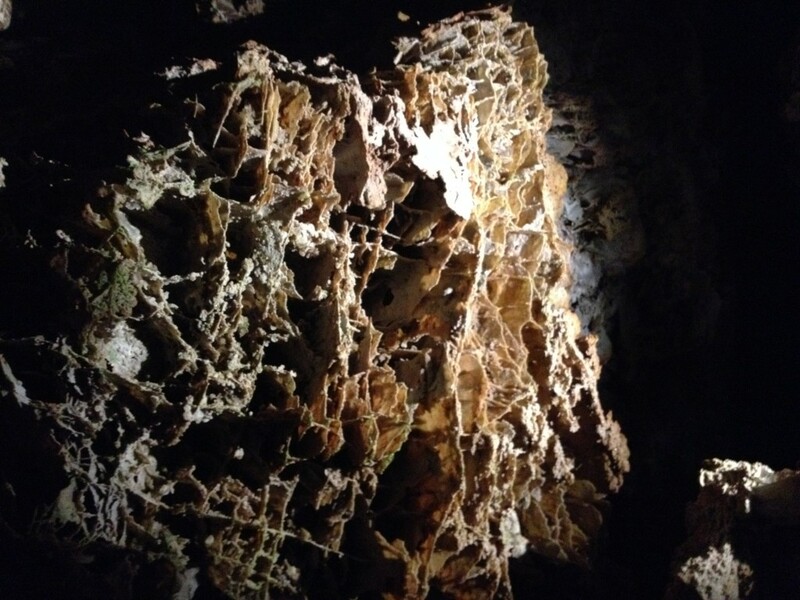 We saw lots of boxwork and other neat cave formations and features, and we learned a good bit. Otherwise, our tour was average. And to put it bluntly, there were lots of highly obnoxious kids on our tour: a three year old who was simply not suited for a 1.5 hour structured, rule-rich activity (I don’t know many three year olds who are, so I don’t blame him, but I may blame his parents, especially considering that there were several much shorter tour options with plenty of availability and exactly the same price-point), a group of older boys who insisted on using flashlights even though they weren’t needed and accidently kept shining them in other peoples’ eyes, and another group of boys who engaged in a silent human flatulence contest (perhaps they were inspired by the cave’s barometric breathing?). Yes, Wind Cave “breaths”, but it doesn’t breath that well; there’s nothing like foul smells in an enclosed underground space. 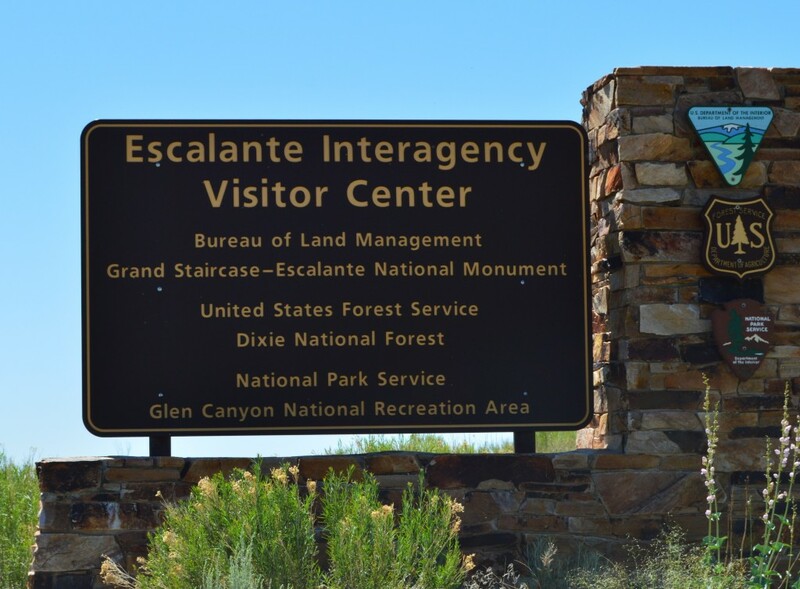 Clearly, all of this detracted from our experience – an expensive-for-us experience, no less – and made me really appreciate the ranger at Carlsbad Caverns who kicked a family off the tour when their child couldn’t behave. Overall, though, I enjoyed our underworld experience and would love to go back for the longer “wild” caving tour one day. Wind Cave National Park is also home to an expansive and beautiful aboveground ecotone, an area where two ecosystems meet. 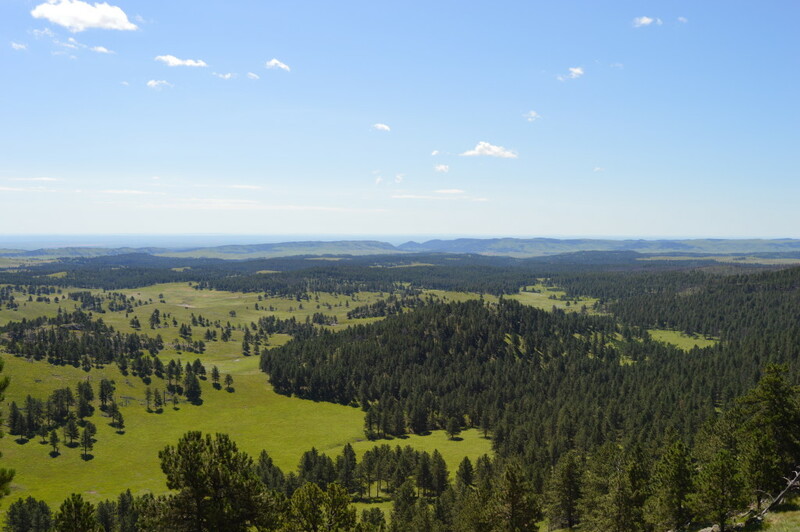 Here, prairie/grasslands meet ponderosa pine forest. Ecotones are places where diverse wildlife flourishes, and Wind Cave NP is no exception. 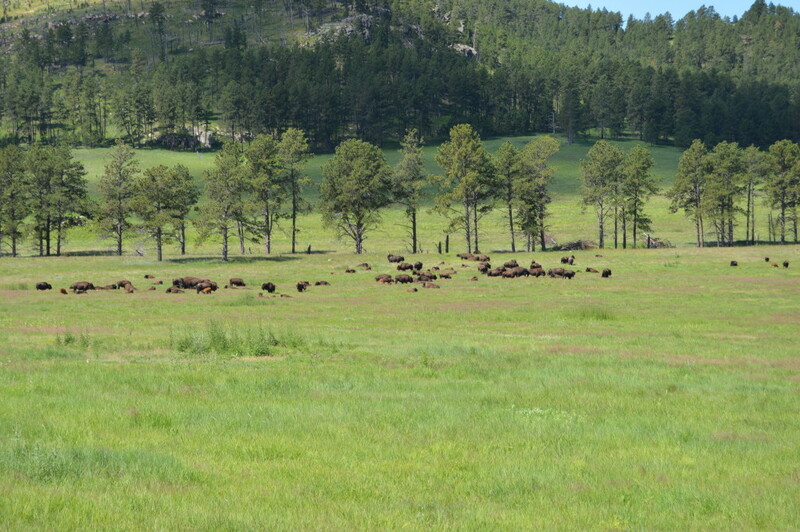 Bison were reintroduced to the park years ago, and now big herds thrive there, as does a large population of prairie dogs. Due to severe storms and our short time in the park, we spent only about two hours exploring the aboveground park via a self-guided driving tour and a short hike. In those two hours, we saw countless prairie dogs, a pair of adult coyotes with two pups, a herd of bison with numerous calves, lots of birds, and one huge bison lumbering toward us as we drove down the road. We stopped and waited while he casually switched lanes and walked around us, coming easily within six feet of the truck. He filled up the entire driver’s side window by a wide margin as he walked past; meanwhile, I stared in amazement while Jason sat still as a statue. 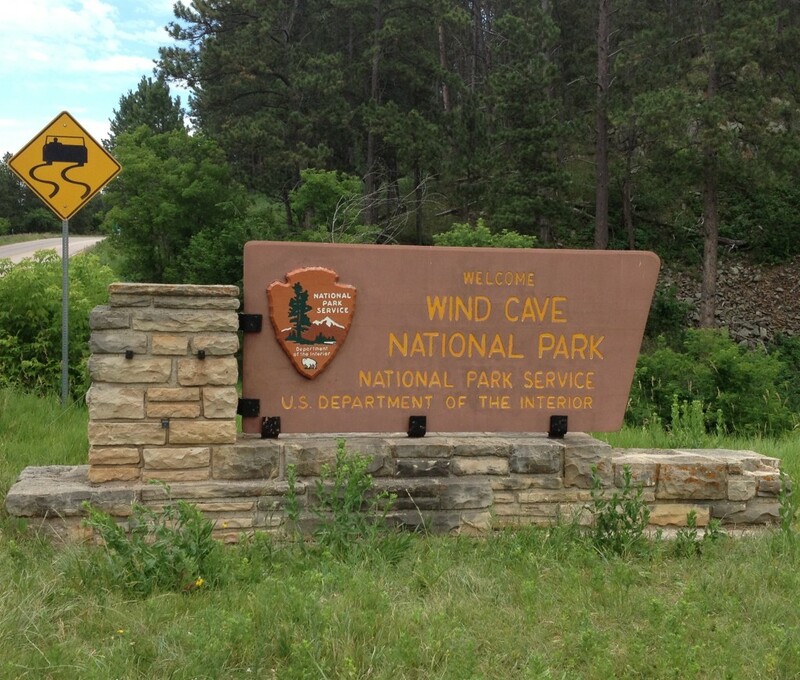 Although we managed to experience quite a lot in less than 24 hours, including camping inside the park, Wind Cave NP would be a great place to spend a few days. There are two distinct worlds to explore with multiple options for cave tours and a whole collection of established aboveground hiking trails, in addition to free-range exploration of the prairieland. 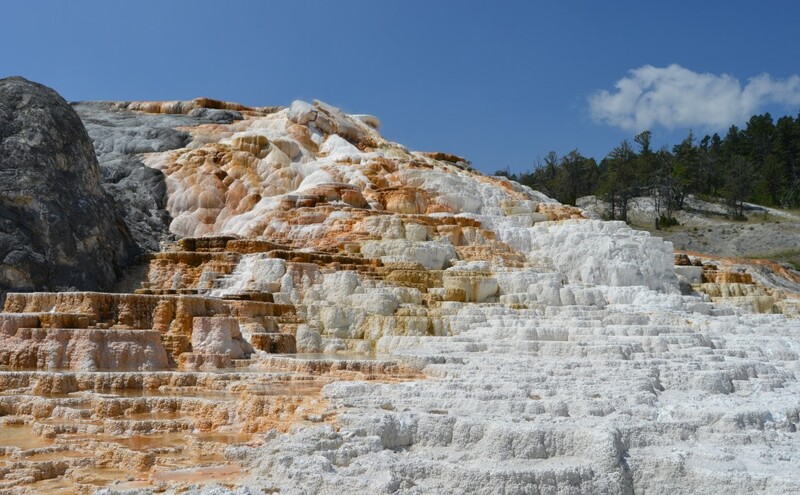 It’s a must-do if you enjoy caving or are in the area, as it’s a short drive from Custer State Park, Mount Rushmore, Crazy Horse, Badlands NP, and a whole host of other South Dakota attractions. Yellowstone: spectacular, interesting, magical, fun, cool, neat, a marvel, fascinating, pretty, beautiful, full of wildlife, full of many nice park rangers and employees, family- and kid-friendly. 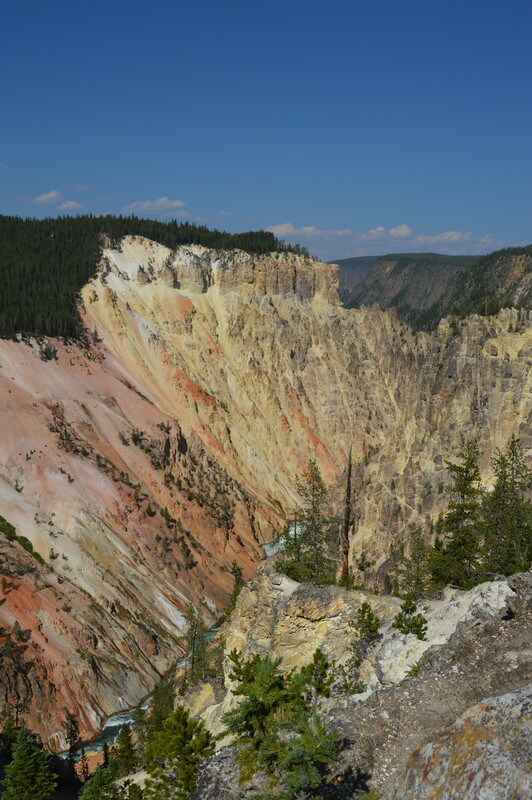 Yellowstone: vast, huge, requires too much driving, frustrating, tiring, touristy, over-developed, anxiety-producing, stinky (lots of sulfa), crowded, noisy, sensory-overload. So, yes, we have mixed feelings about Yellowstone. 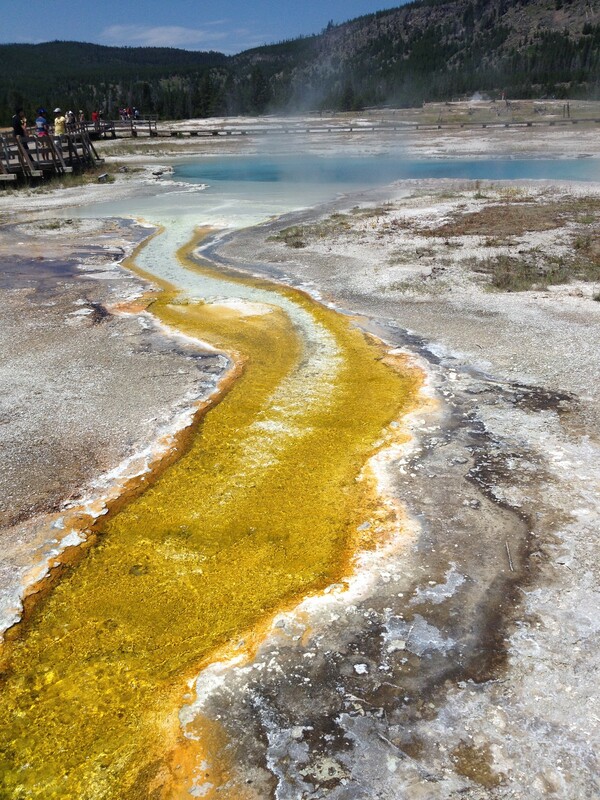 Our Yellowstone experience was certainly colored by two factors. 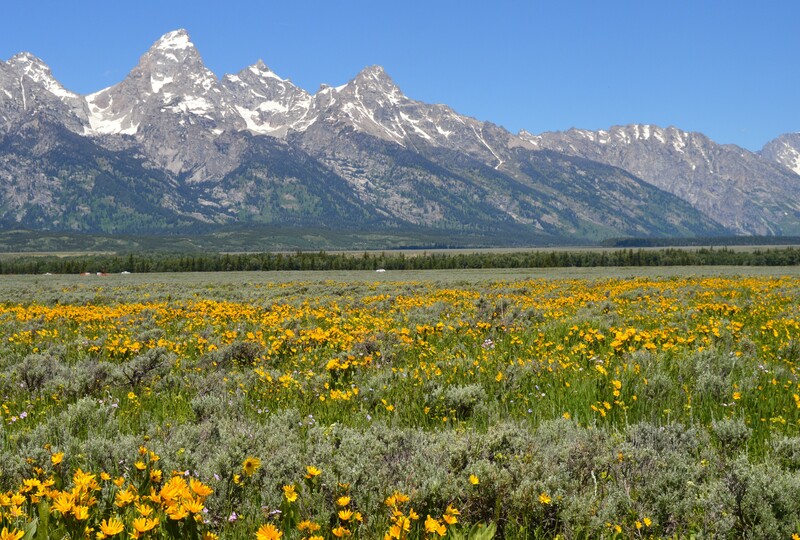 First, we have been to some really gorgeous places recently, including Grand Teton National Park just prior to Yellowstone; these places have upped the ante, and we do feel like we’re a little bit on overload from seeing so much. Grand Teton was also completely majestic, breathtaking, and easy to love; after a near-perfect week there, maybe we should have adjusted our expectations a bit. 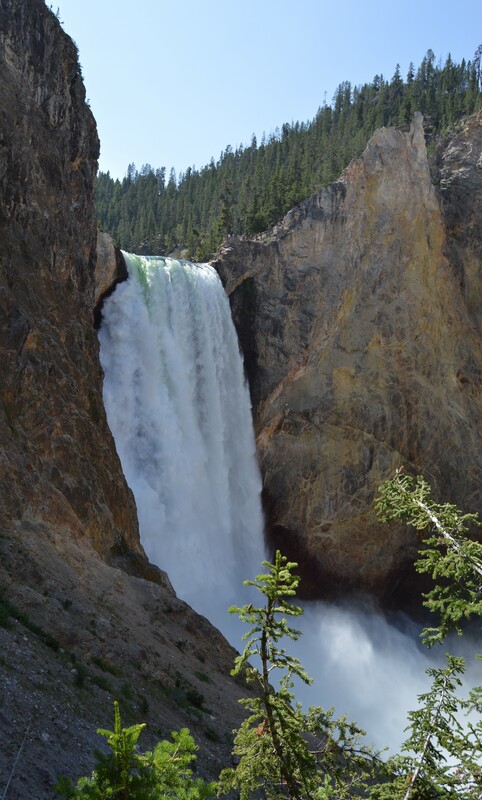 Second, we visited Yellowstone over July Fourth week and weekend. Enough said. 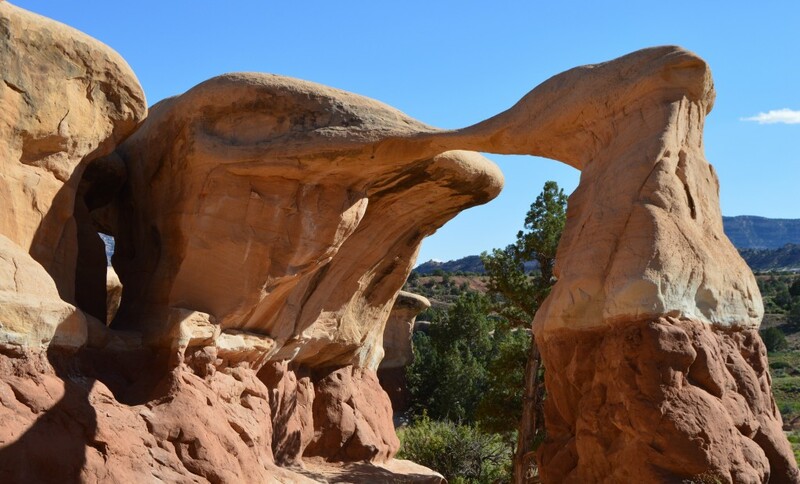 Really, though, after our experience in Arches National Park over Memorial Day week/weekend, we had vowed to avoid national parks during holidays for the rest of the year. 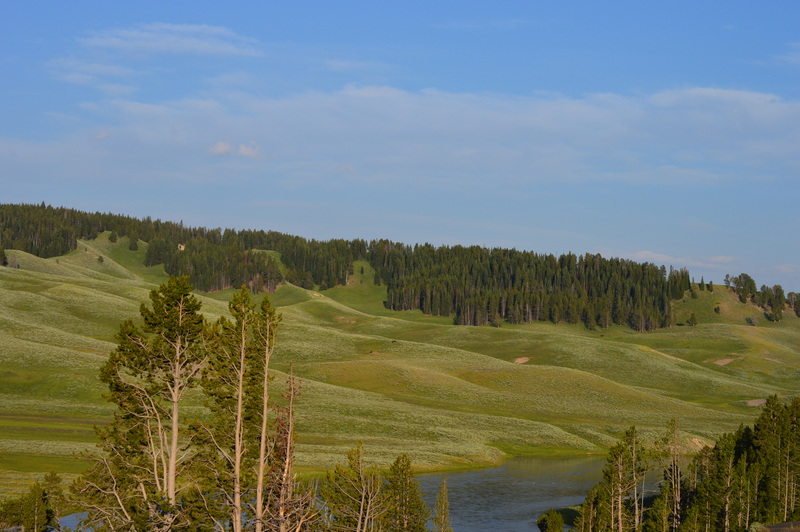 But, as we approached Wyoming and Grand Teton and realized that we might wind up in Yellowstone over July Fourth, we just figured to heck with it! When in Rome… And we decided to brave the crowds and go anyway. We’ve gotten fairly good at avoiding crowds in the national parks by employing a number of various strategies: hiking longer trails, going into the backcountry, exploring more popular areas during peak mealtimes while everyone else is eating, etc., so we felt somewhat confident in our ability to at least minimize our exposure to the crowds. Well, we were humbled. Every park has its own personality, quirks, norms, and ways of functioning. It took us a couple of days to figure out Yellowstone. First of all, the park is huge and travel is time-consuming. 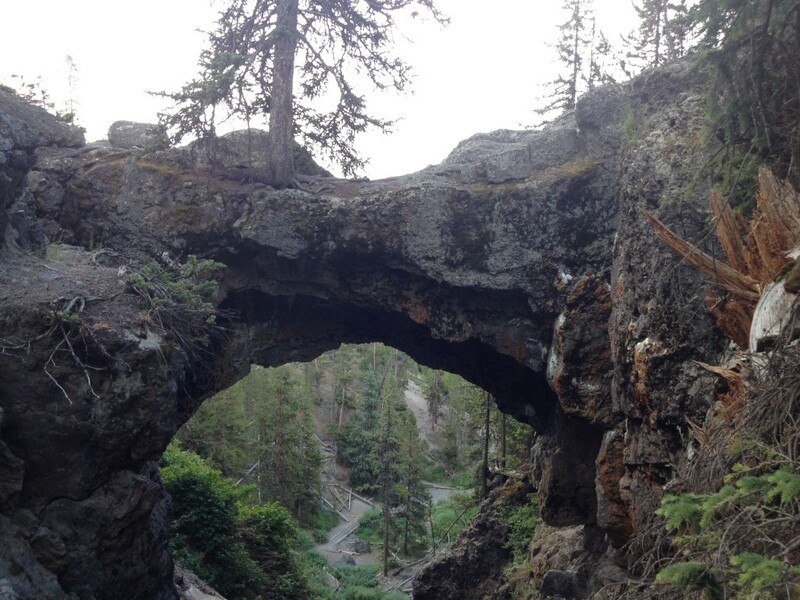 It’s the largest park in the nation after several in Alaska and Death Valley in California and Nevada; it’s just under 3,500 square miles, and the Grand Loop Road that connects the eight major areas in the park is 142 miles! Between exploring the park and meeting up with a friend, we drove the entire Grand Loop one day and ended up driving almost 90% of it another day. Part of this was due to where we were staying in the park, which I’ll discuss soon, and part of it was due simply to wanting to explore all the major parts of the park. Suffice it to say, we spent a lot of time in the truck, which isn’t our favorite pastime when we’re in a park to explore the great outdoors. Driving inside the park also isn’t easy or fast. All major roads are paved, and the few short dirt roads that we tried were in really good condition, which is more than we can say about most other parks we’ve visited this year (Big Bend, southern Utah parks, etc. ), but driving (safely, at least) requires one to be hypervigilant and patient, the latter of which we’re not pros. 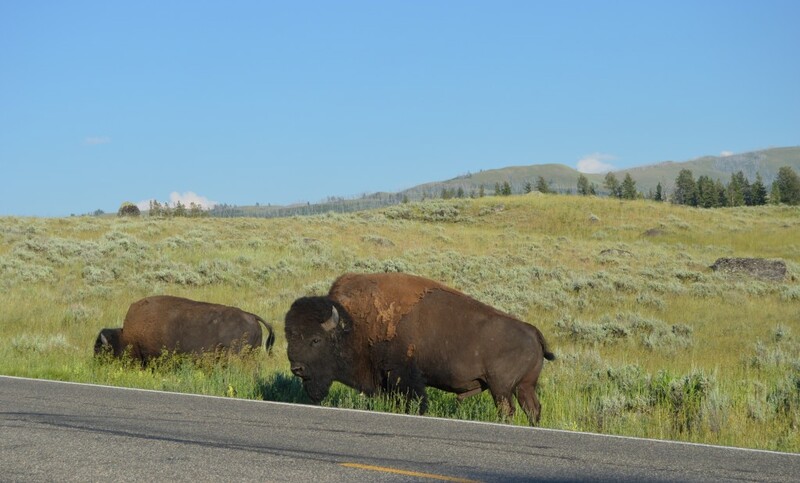 One of the treasures of Yellowstone is that wildlife is plentiful and easy to view from the roads/roadsides; in fact, we saw more wildlife driving down the road than we did on any hiking trail, which was honestly okay with us! The abundance of wildlife near or on the roadways, though, does require one to be alert and defensive while driving. 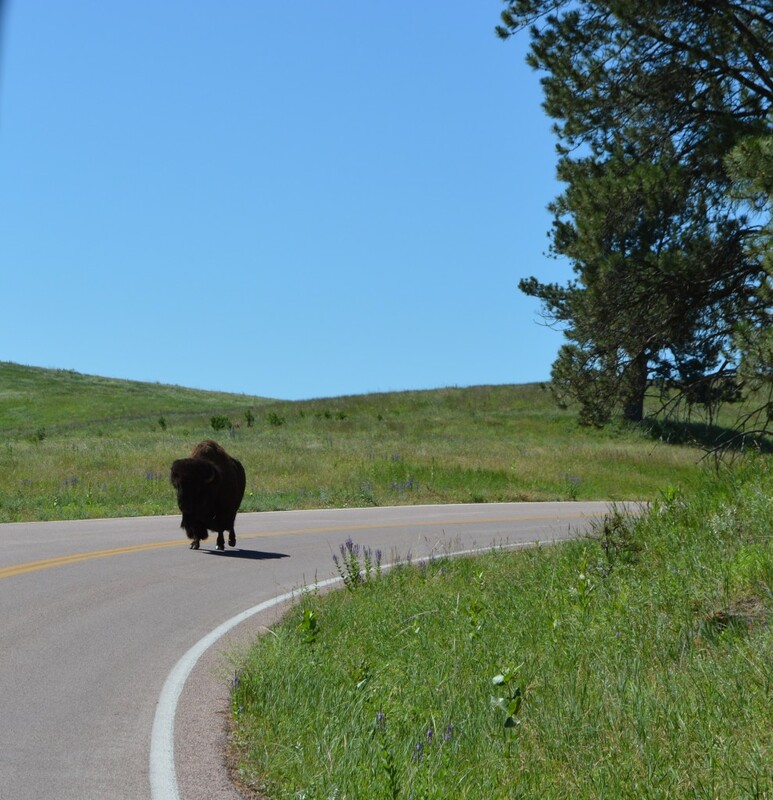 We had near-misses with a bear, deer, and bison even though we traveled at or below the speed limit, which is 45 mph max, and often less, throughout the entire park. Additionally, fellow drivers and park visitors often stop alongside the road or, commonly, in the middle of the road to view wildlife nearby, which causes frequent traffic jams. And, a huge area of heavily-traveled (at least for us) road on the Grand Loop was under construction, with miles and miles of roadway disturbed. While we certainly understand that construction has to happen this time of year, it seemed like an excessive amount of road was torn up at once. We also frequently had to sit in long lines to find parking in many lots. 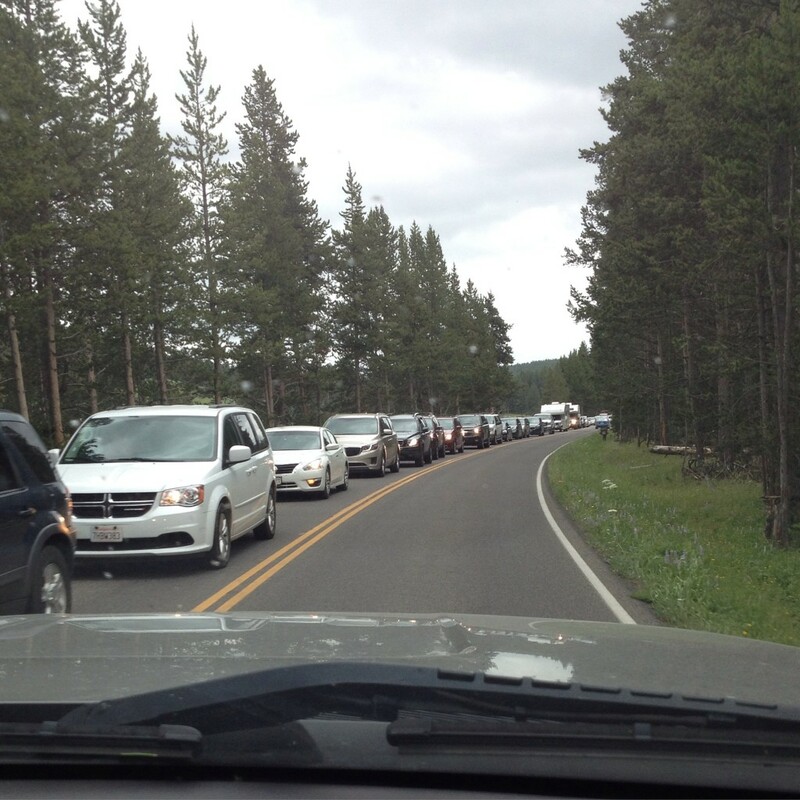 Between the wildlife traffic jams, construction, and crowds, Yellowstone felt like being in city gridlock at times. 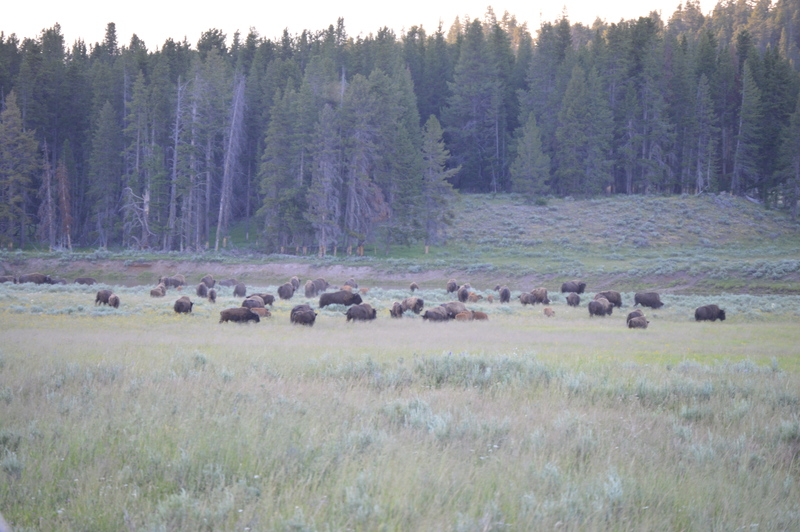 Secondly, the campground system at Yellowstone isn’t terribly easy to navigate. About half the campgrounds are operated by a concessionaire, which automatically drives up the price; they also include things like two showers per day, which we don’t need because we actually use our RV shower. If there’s something we dislike more than spending money, it’s spending money on things we don’t need or don’t use. The other half of the campgrounds are operated by the park system (NPS) and are cheaper and first-come, first-served. 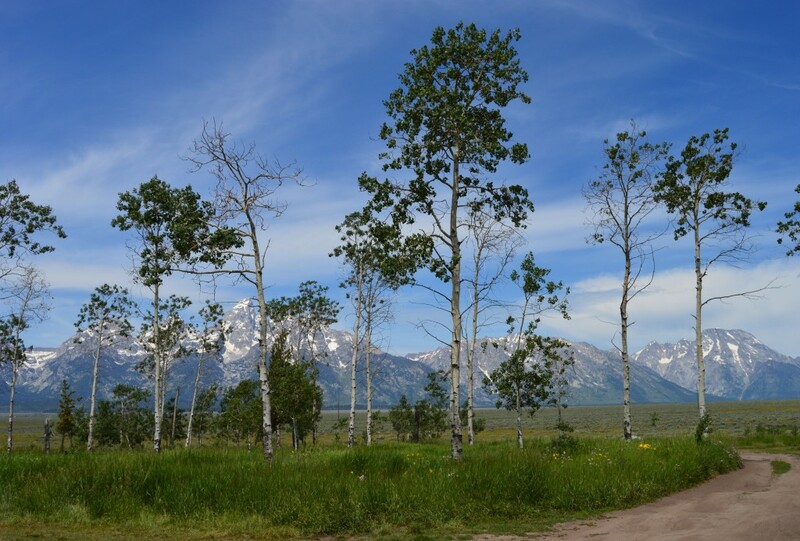 We got a reservation at a concessionaire campground for the first night to make our transition from Grand Teton easier, and then we figured we could easily move to a more centrally located NPS campground. After all, we’ve become pros at working the first-come, first-served system. Well, we were humbled again. 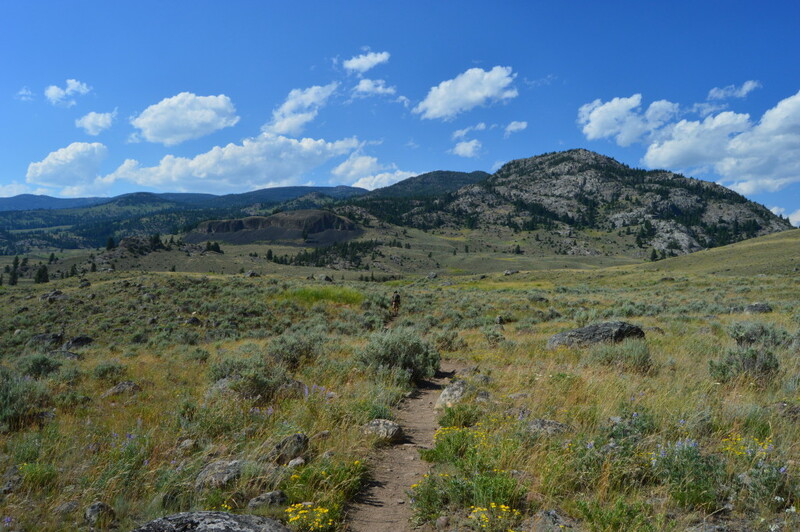 To make a long story short, due to a variety of factors largely out of our control, including some ridiculous rules and regulations, we ended up at the furthest north campground in the park in Mammoth Hot Springs. Though cheaper, we easily burned up our savings in gas. 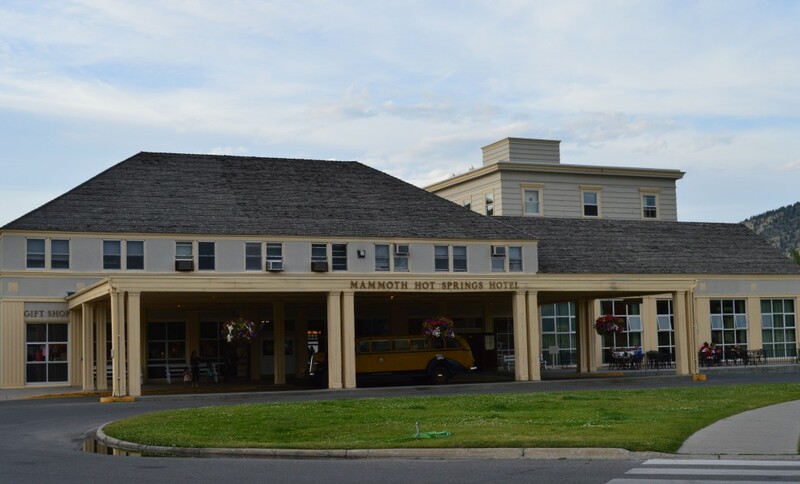 The Mammoth Hot Springs area is really neat – it’s home to the gorgeous Mammoth Hot Springs Terraces and to a historic fort and resort. However, staying in Mammoth requires significant drive time to most other major areas in the park; hence, lots of time in the truck! The campground is long and narrow, situated in the middle of a big switchback in the road, which meant we heard traffic from three directions, as cars, motorcycles, motorhomes, and construction vehicles made their way back and forth along the switchback at all hours of the day and night. Additionally, the campground allows generator use for 12 hours a day. We were lucky enough to have a neighbor who ran his generator ALL DAY, along with his diesel engine truck most of the day in order to put additional charge in his RV battery/ies. He clearly had battery problems or no clue what he was doing. Since we’re generator-free, this was particularly annoying. Third, on our first full day in the park, we went on our first, and as it turns out, only, backcountry hike in Yellowstone. The hike came highly recommended by a friendly park ranger, who told us it’s his very favorite hike in the park. So, of course, we set out with high expectations. 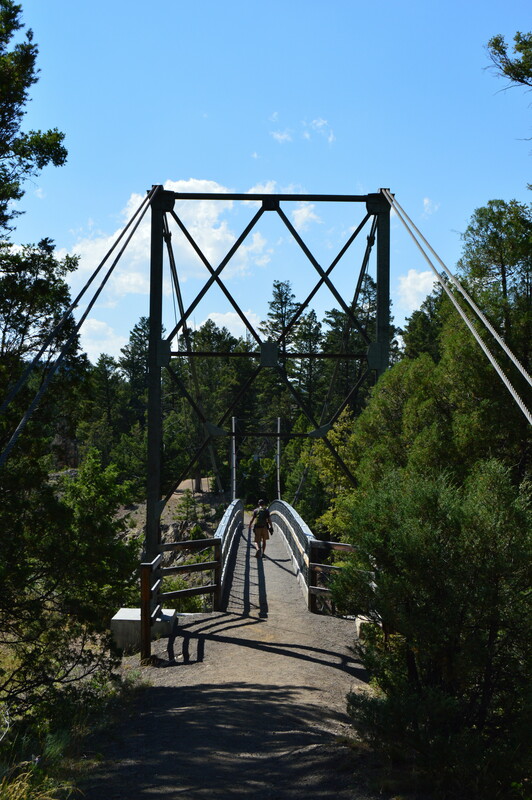 The first mile or two were pretty and neat; we hiked across a huge old suspension bridge high above the beautiful, raging Yellowstone River and then hiked through a scenic sagebrush plateau. After that, we hiked and hiked and hiked with little scenic reward (we didn’t even see any wildlife beyond a deer! ), disappointed that we weren’t even following the nearby stream, though we could see it occasionally just past the tree line. Additionally, the flies were relentless – they flew into our ears, mouths, and shirts and then started biting us. 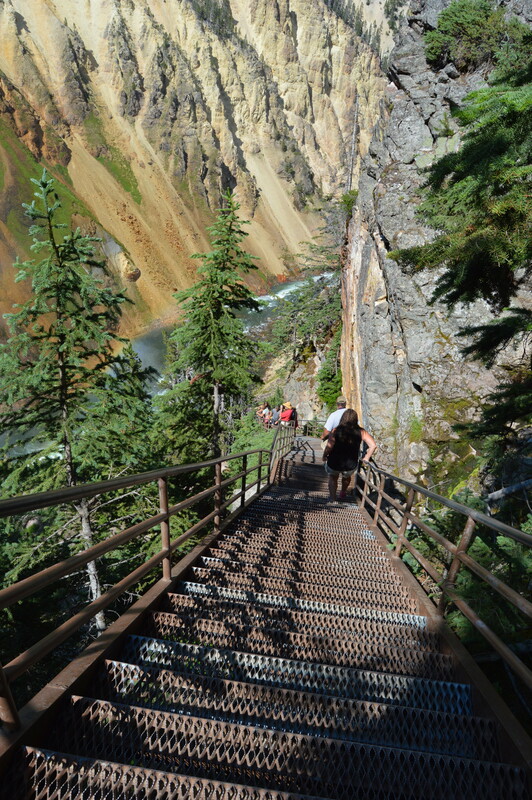 After we finally got off the trail, we reassessed our options for the rest of the week. Given the vastness of the park, our campground location, and the crowds slowing us down, we simply weren’t going to have time to see the major front-country attractions and experience the backcountry, which at this point didn’t seem too appealing anyway. Plus, we figured we’ll have a lot more excellent hiking ahead of us at other parks. 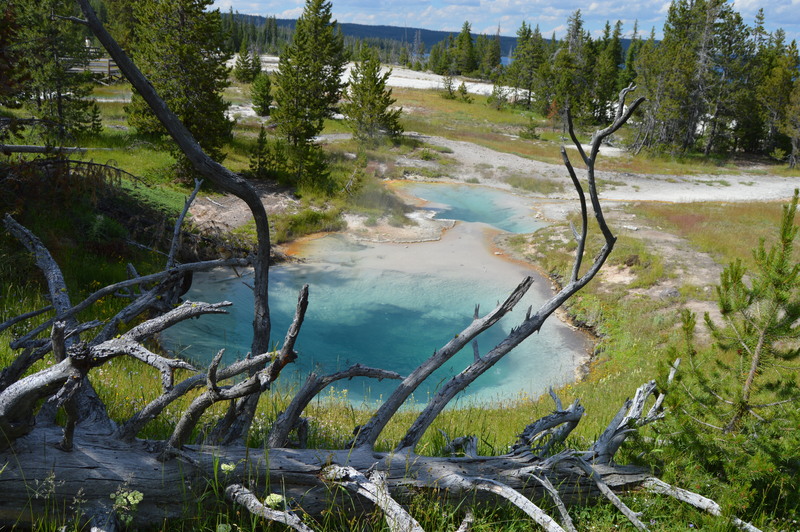 In short, we realized that Yellowstone, unlike many of the parks we’ve visited, is not a park where the best treasures are hidden in the backcountry; most of them are very easily accessible to the public and to the crowds. And our desire to avoid the crowds wasn’t worth missing the best parts of the park. As they say, if you can’t beat ‘em, join ‘em! So we did. I certainly don’t regret our choice. 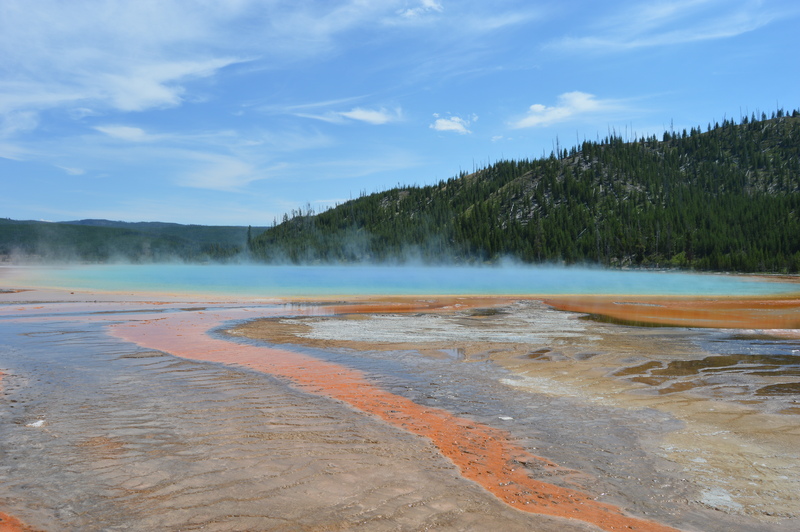 The popular geyser basins and the Grand Canyon of the Yellowstone are popular for good reason, and they didn’t disappoint. Refer back to my first set of adjectives at the beginning of the post if you’d like some words to describe these places. Yes, the crowds were obnoxious. At times, I was afraid I’d get pushed off the boardwalks at the geyser basins onto the hot, soft ground below, which has the potential to collapse and send you into fatally scalding water below (no, not at all scary, and also not very likely, but it did cross my mind many times and occasionally made it hard to enjoy what I was there to see). Also, if I never see another selfie stick in my life, I’ll be happy. Our favorite day was spent at Upper Geyser Basin where we saw several big geysers erupt in one day through a combination of strategy, planning, luck, and information from a knowledgeable “Geyser Gazer” (geyser gazers are mostly retirees who meticulously clock and predict when even the smallest geysers will erupt). 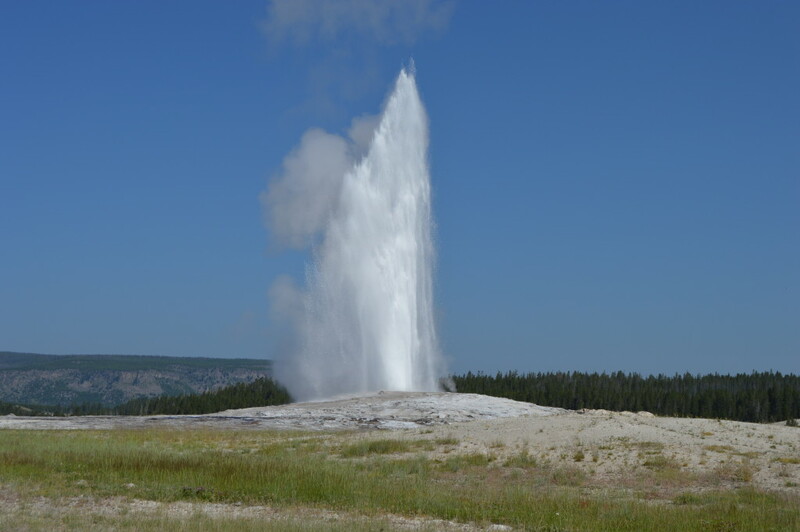 So, we saw Old Faithful, Grand (the tallest predictable geyser in the world), Daisy, and Lone Star erupt, in addition to several smaller geysers. Part of what made the day so enjoyable was that we parked at Old Faithful and then rode our mountain bikes everywhere, including to Biscuit Basin and Lone Star Geyser, which are set apart from the rest of the Upper Basin; this allowed us to see more because we weren’t fighting traffic and parking lot madness. 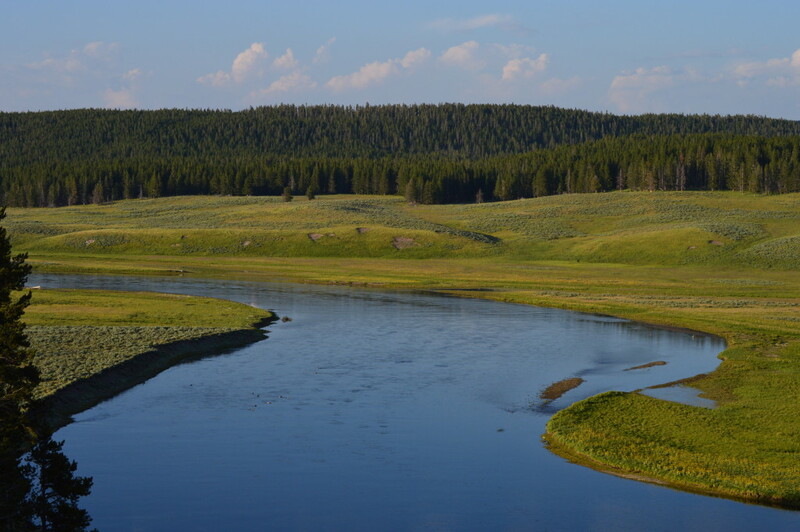 We rounded out the day with seeing a cycling buddy from home and driving through gorgeous Hayden Valley at prime evening time to see wildlife and to enjoy beautiful photography light. Other highlights of the week: biking and hiking to Natural Bridge; driving along Blacktail Plateau and Firehole Canyon Drives; exploring West Thumb, Midway, Lower, and Norris Geyser Basins; hiking a portion of the North Rim Trail where we took a side trail to an overlook of Crystal Falls, which hardly anyone seems to know about (our National Geographic Secrets of the National Parks book, which we LOVE, recommended it); and exploring several of the short trails and overlooks in the Upper and Lower Yellowstone Falls area in Canyon Village, including Uncle Tom’s Trail, which provides a face-on view of the massive Lower Falls near its base after descending 500 feet in half a mile via a steep trail with 328 steep, narrow metal stairs (yes, the basic law of what goes down must come up applies). 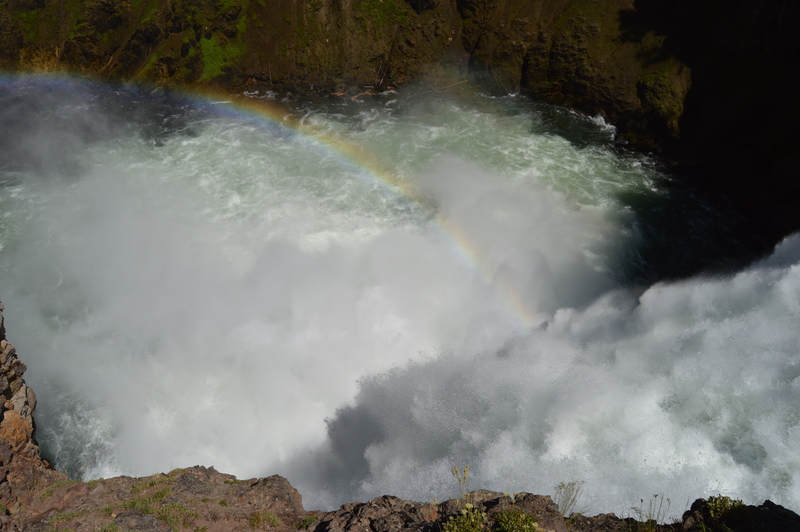 We also lucked out and saw several rainbows at the Brink of the Upper Falls. 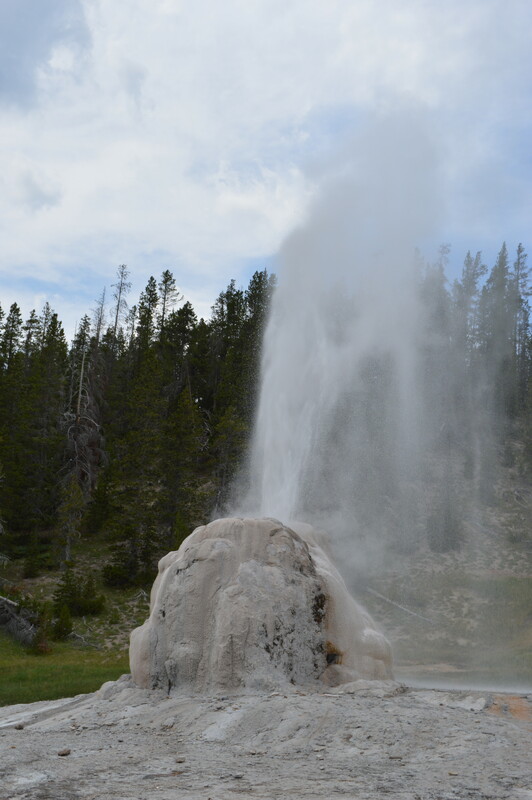 Fun fact about the Norris Geyser Basin: it’s the hottest and driest basin, which means it’s full of steam vents that are like underground teakettles – boiling water below and steam shooting off above; in 2003, the ground temperature in this area increased to 200-degrees 1 cm underground, causing all the vegetation in the area to die immediately! So, all things considered, yes, we had a very good five days in Yellowstone. In hindsight, the only thing I’d do differently next time (besides not going during a holiday) is stay at a pricier campground to guarantee a central location in the park. Even with reservations required at these campgrounds, we probably could have made it work this time (seems like there were a lot of cancellations and last-minute reservations), but we didn’t want to spend another half day driving and moving the trailer, which would have included dragging it through the large construction zone again. Hindsight is always 20/20. And while we really mean it this time – no more holidays will be spent in national parks! – it was special to celebrate Independence Day in our country’s first national park, a place that helps preserve America the Beautiful. As always, thanks for reading this lengthy post and following along with our RV gap year adventures! We’re currently enjoying a travel time-out in small town Cody, WY and will likely take a detour to South Dakota to visit Wind Cave and Badlands National Parks before heading to Montana and the Pacific Northwest for the rest of the summer. After our brief stay in Idaho we were bound for Jackson Hole, WY and Grand Teton National Park. We soon realized we’d have to climb over a fairly substantial mountain pass. Grades of 10% for 5+ miles up and grades of 10% for 5+ miles down. And we were carrying a full load of water (approx. 500 lbs. between all three tanks), meaning we were HEAVY. Not overweight heavy, but just under the limit. So after chug-a-lugging along at 20mph on the way up, stopping once to let the transmission cool, and stopping once on the way down to let the brakes cool (and readjust the trailer brake after the pedal in the truck nearly went to the floor…I was legitimately looking for a run-away truck ramp) we were extremely pleased to see the terrain flatten out significantly as “civilization” appeared before us. 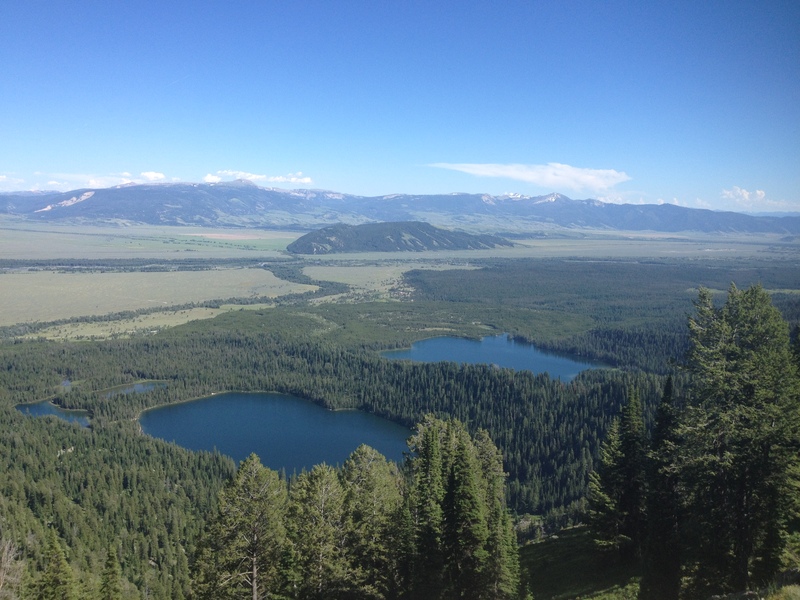 There is a lot of hype about Jackson Hole (Jackson is the town, Jackson Hole is the bigger geographic region). It promises an amazing national park experience, luxury for those willing and able to afford it, and four-seasons of outdoor activity. In reality I think Jackson Hole has two seasons: warm and frigid. We arrived in town in need of an easy campsite, grocery resupply, some internet connectivity, and an itch to get into Grand Teton. I dropped Jessie off at the nicest public library anyone’s ever seen and proceeded to set-up a pricey campsite inside the park and drop by the the local (expensive) grocery store to pick up provisions. I was also on a quest to pick up a fire-extinguisher sized can of bear spray. Bears are a big draw for the parks in this part of the country. 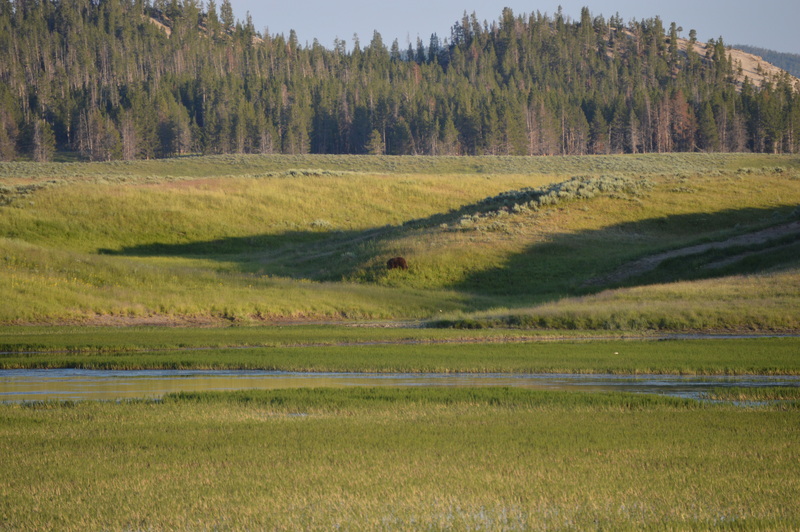 In fact, if you pay attention to the retailers and many park officials in the Grand Teton/Yellowstone region there is a 700lbs mama grizzly bear with cubs waiting around every bend to dismember you. To be fair there are documented accounts of parents putting peanut butter on their child’s hand and sending him/her over to a bear to “get a good picture”. You can imagine how that ended. I suppose putting a healthy dose of fear into the general public is a good idea. 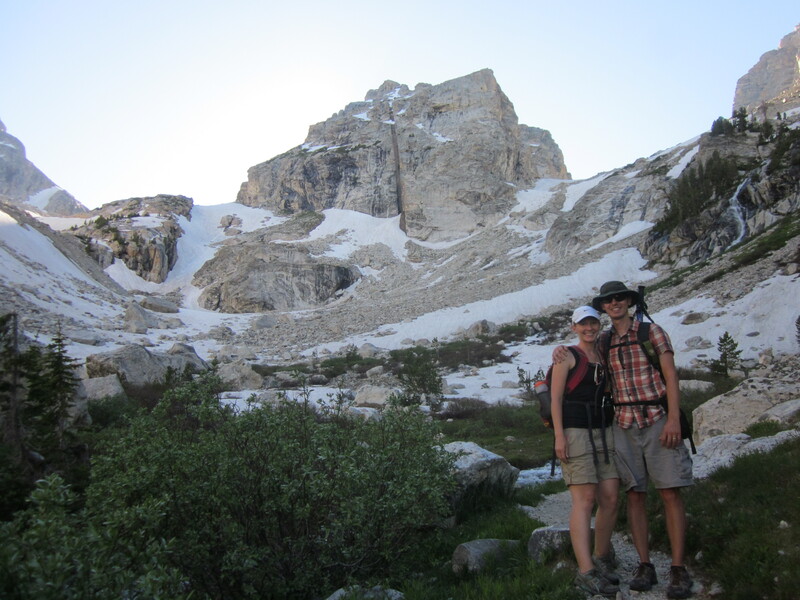 With a restocked pantry and a place to park “Moby” (our RV), we were ready to explore Grand Teton NP. Wow, just wow. Grand Teton is among the most majestic places we’ve ever been. 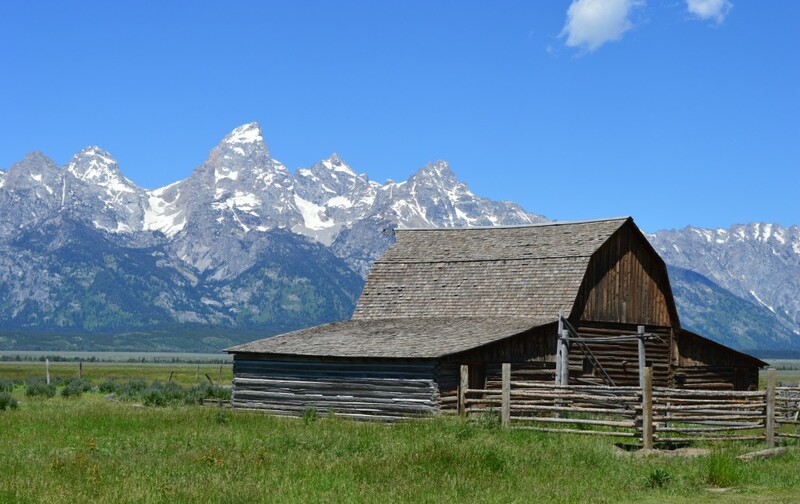 To see the mountain range rise from the valley floor, to see the wild flowers in full bloom, to see the abundant wildlife (from a safe distance), to see the amazingly well constructed and preserved barns of “Mormon Row”; it is a special place. After our day one hike around Jenny Lake up to Hidden Falls we knew we’d want to spend significant time in the park. Our travel plans, or lack there of, give us the freedom to stay in a park until we feel like we are “done”. We knew it was going to be a while. There was so much hiking, cycling, and sightseeing to do. What this also meant is that we couldn’t afford to spend $24/night on camping fees. So part of our day-two activities included scouting out Bridger-Teton National Forest that held the promise of free camping. We indeed found a lovely campsite and after filling up our freshwater tank and getting set-up in the forest, we were looking at 5 days of free, quiet camping with stunning views and a centrality to the park that we couldn’t even get by staying INSIDE the park! What a deal! The days that followed were some of the best of our gap year thus far. We enjoyed the miles and miles of mostly flat (but still 6,500′-7,000′ elevation) bike path. 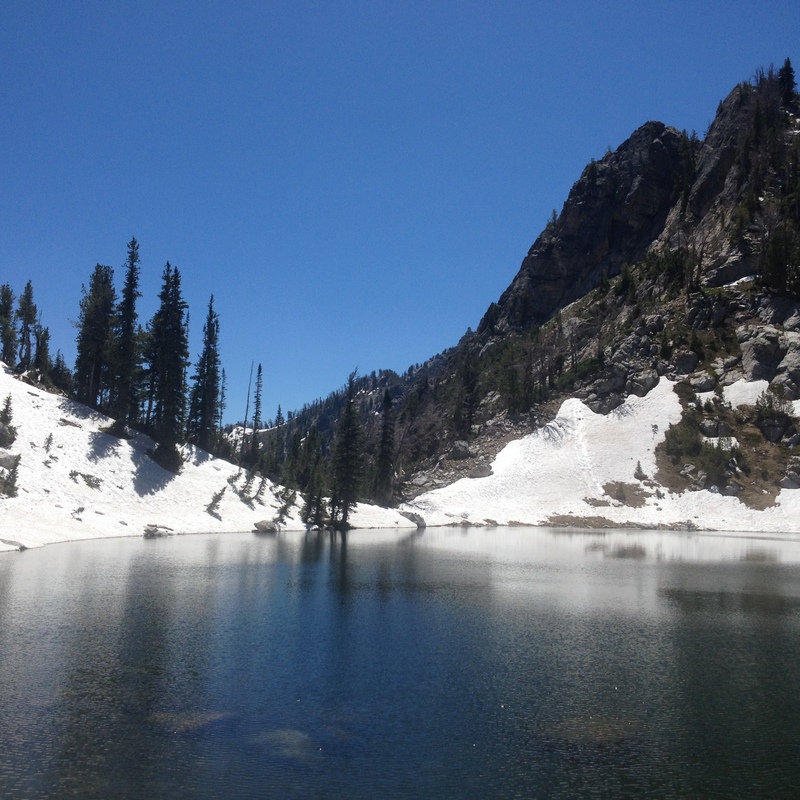 We hiked an epic 12.5-13.0 mile, 9-hour trail with 4,000+ feet of elevation gain, snow, and boulder field crossings that allowed us to explore several of the more difficult-to-reach spots in the park. 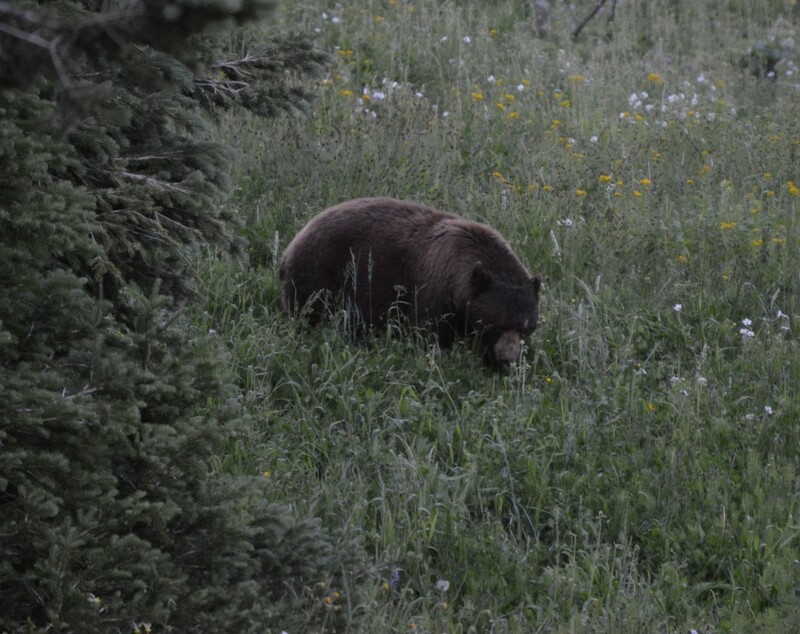 We had our first bear sighting in the backcountry from a safe 250 meter distance. We sang loudly as the sun faded and bears were on the move so as to not encounter a bear closer than 250 meters (despite the $50 worth of bear spray on my hip). We grilled out and enjoyed our 10 million dollar view from our free campsite. We cooled off with a swim in one of the many snow melt/glacier fed lakes. We rented our first Redbox on the road and watched “Wild” (after reading it and having “family book club”) powered exclusively by solar. We cycled into Jackson to return said Redbox. We found the cheaper of the two grocery stores in town that shared a parking lot with a laundromat (double win) with WiFi (triple win). It was a fantastic week. 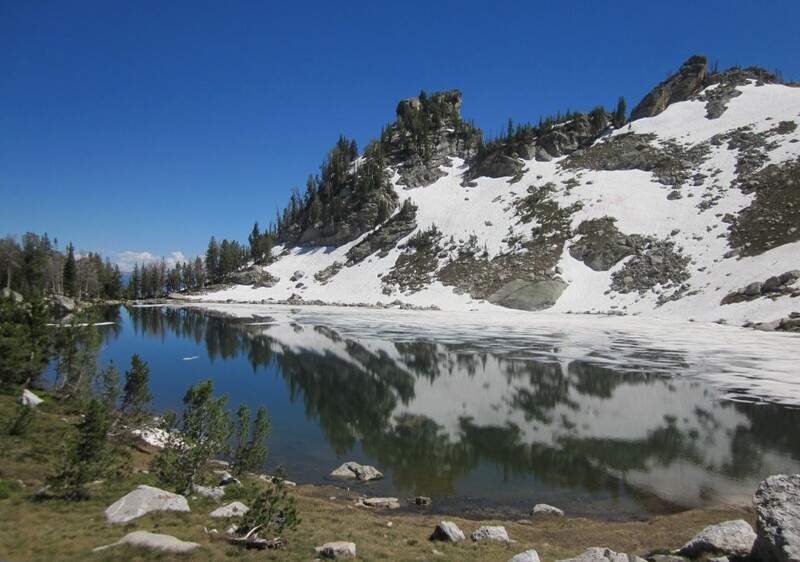 A few things to know about Grand Teton and the greater Jackson Hole area. 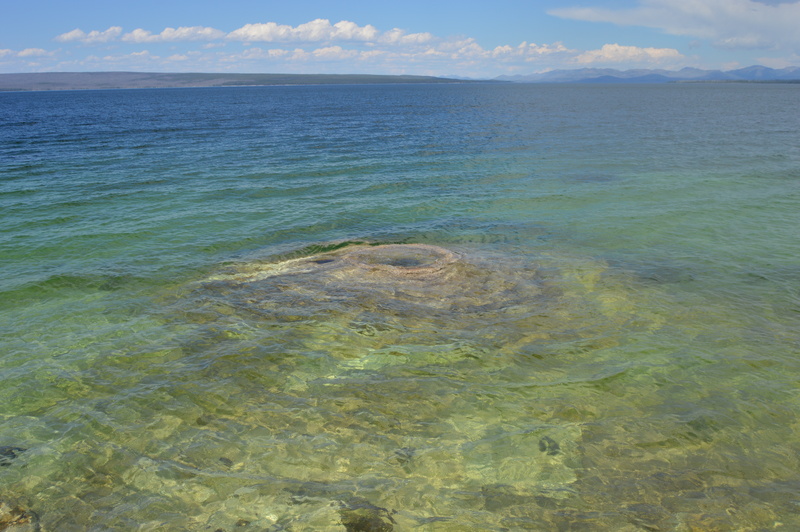 First, unless you are camping in Grand Teton or the national forest, this area isn’t cheap. In fact, it can be downright pricey. For example, the local private RV campground charges $80/night. Second, there is a major airport in the national park. It is indeed weird to see many planes landing and taking off (private, corporate, and commercial) daily. Third, Grand Teton definitely has more of a resort feel than any of the other parks we’ve been to. Perhaps it’s the multi-million dollar homes surrounding the park, the ski slopes directly adjacent to the park, the semi-formal dress suggested for meals at one of the lodges, or the town of Jackson with it’s Western-luxury feel, which is a different vibe than we’re used to. Not that we didn’t enjoy it. In fact, it might be the most livable (for us) place we’ve visited so far. Affording it would be a different matter entirely. And finally, to truly “get” this park you must hike deep into the park. Hike until you reach the snow or you haven’t gone far enough. 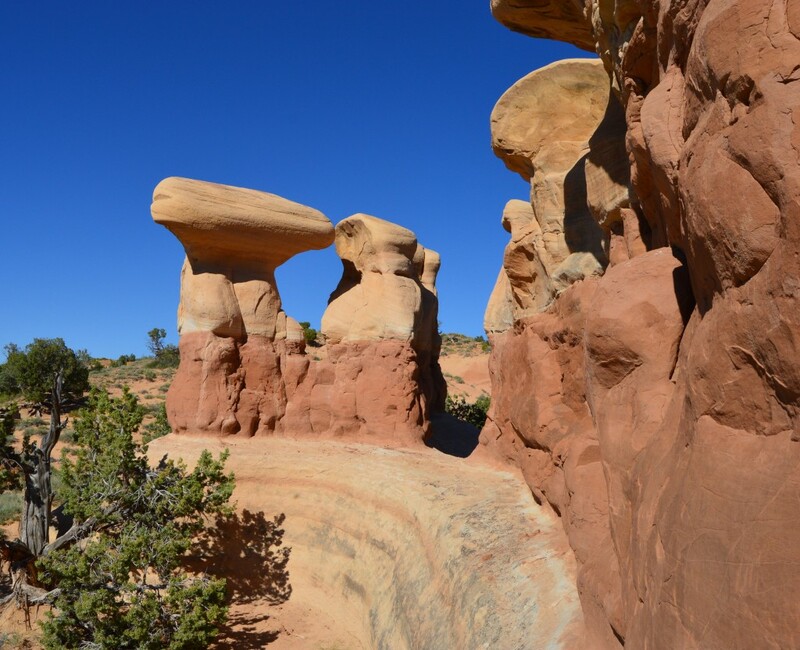 Southern Utah has five national parks, and we’ve visited them all: Canyonlands, Arches, Capitol Reef, Bryce Canyon, and Zion. To round out our blog posts on these parks, we thought it’d be fun to do some quick superlatives. If you’ve visited any or all of these parks, do you agree with our choices? Any other categories you’d like to add? Thanks for reading! 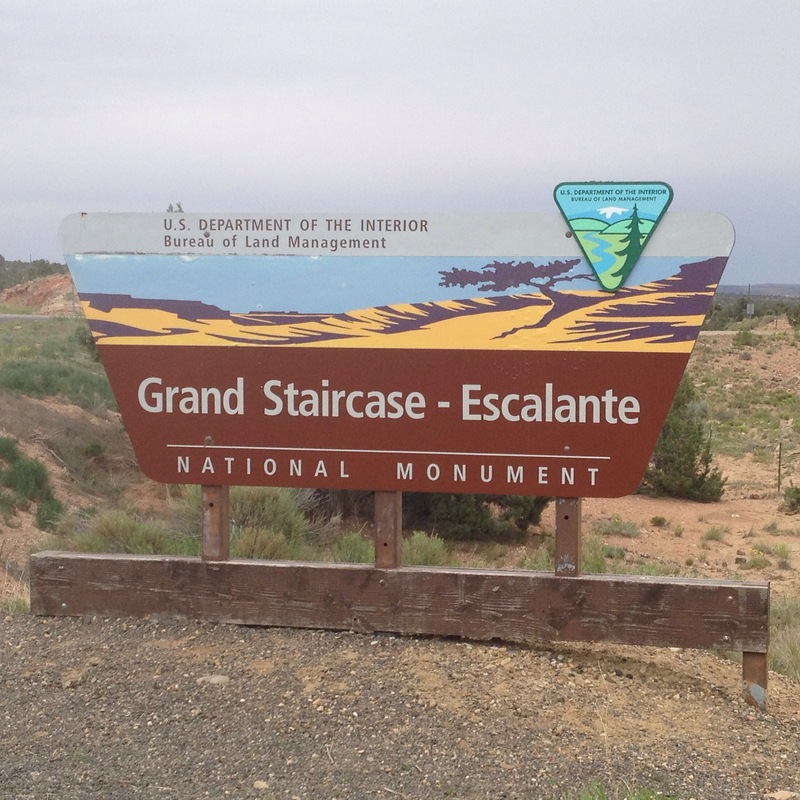 Grand Staircase-Escalante National Monument (GSENM) in southern Utah is among my favorite places we’ve visited so far and another pleasant, unexpected surprise, as it wasn’t on our initial unofficial list of places to go. We decided to check it out because our brother-in-law Tim recommended a hike within the monument. Besides the promise of a cool hike, we didn’t have many expectations, and we grew to love so much about this area. GSENM is beautiful, rugged, often other-worldly, and remote. The region was the last to be mapped in the continental US – that’s how rugged and remote it is. 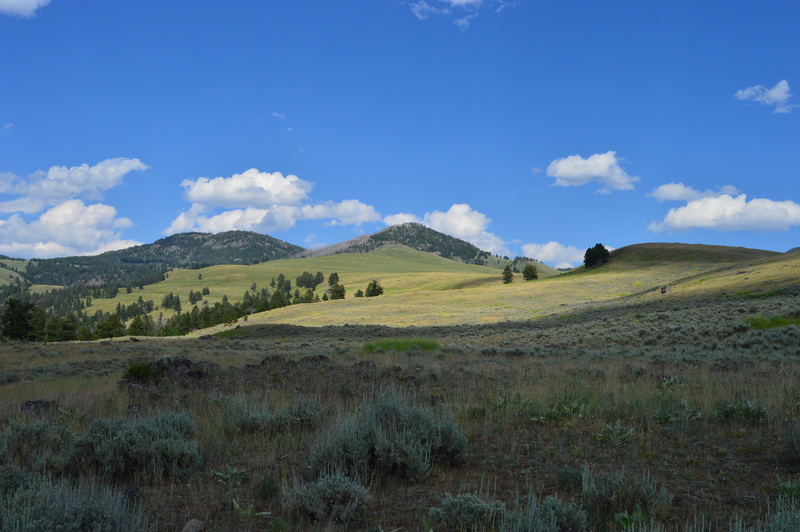 The monument was established relatively recently (1996) and protects almost two-million acres of wilderness! 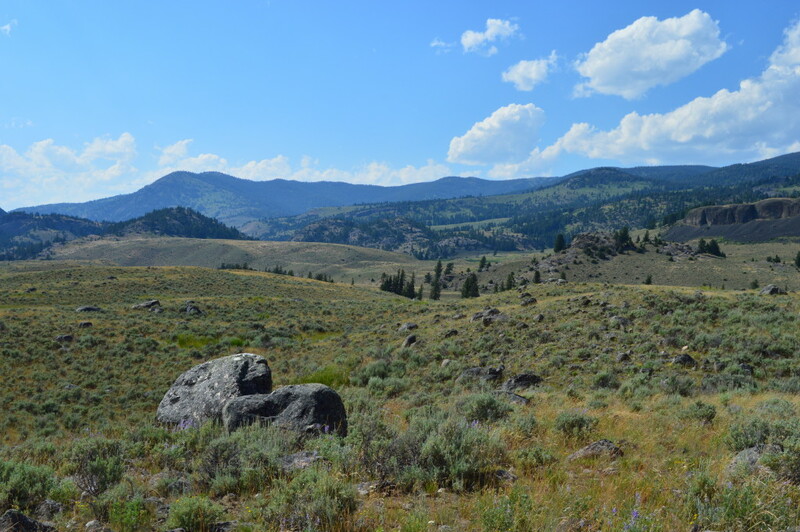 One of the main goals of the monument is to keep the land wild and undeveloped. This mission is what I love most about the monument. Although the national park service has a mandate to protect their lands and they do an incredible job of this, they’re also charged with making the land accessible for the enjoyment of the public. With that latter goal comes some degree of development and, of course, people, many of whom approach the parks like tourist attractions (which they are to some degree) rather than experiencing the true nature preserved in the parks. Our favorite national park experiences have been those away from the crowds, and it was so nice to find that experience easily at GSENM. A sign at a roadside exhibit within the monument pointed out that the monument preserves not only land but also the opportunity to experience solitude, which is one of our rarest natural resources. And solitude we found, which we thoroughly enjoyed after the crowds at Arches and Zion national parks. We camped for free (dispersed camping is allowed in several areas with a free permit) with no one close by, which was divine. 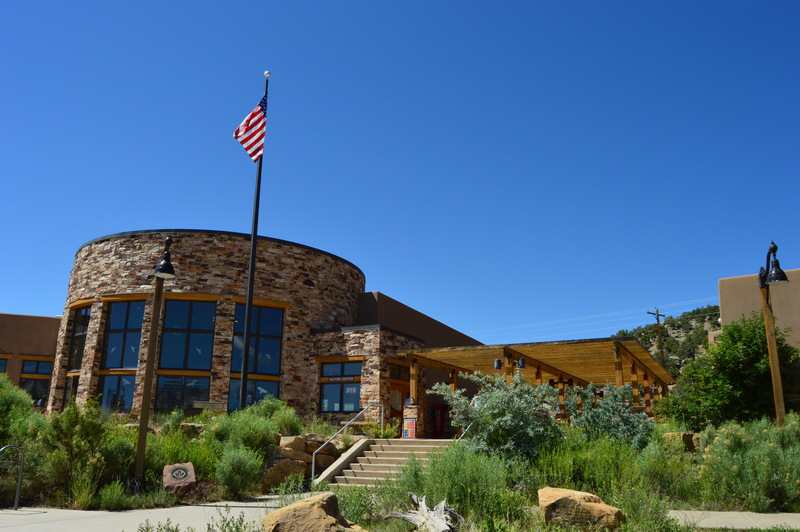 We obtained our camping permit, trail and area maps at this really nice Visitor’s Center, one of several in the area, though this is the largest, as it serves as the interagency office. During our time in the monument, we traversed many miles of wash-boarded dirt roads with the truck. 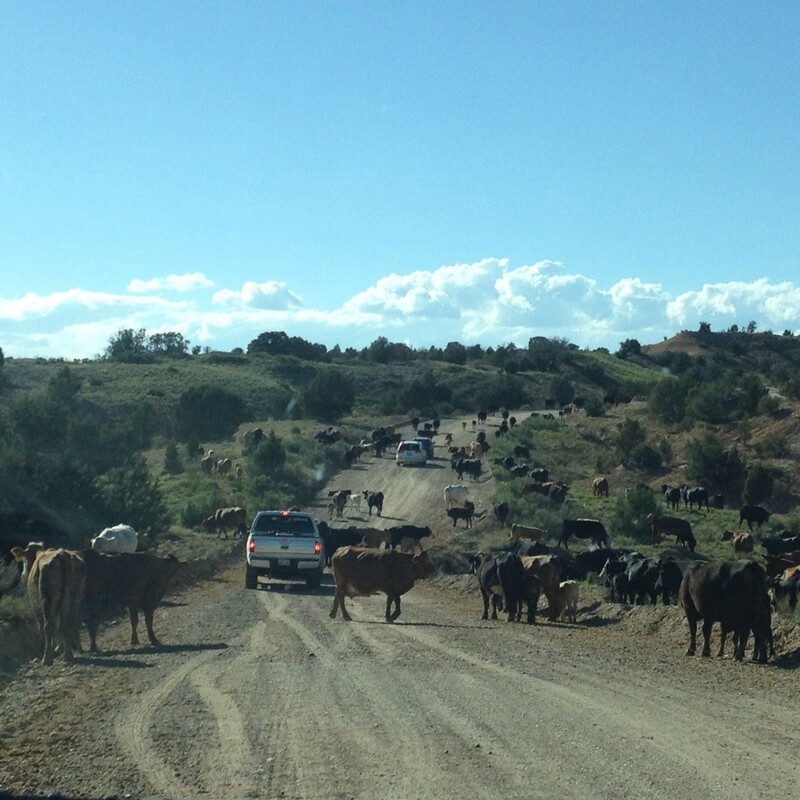 We experienced a free-range cattle traffic jam one evening. I’m sure the cowboys thought we were all pretty silly for taking pictures. 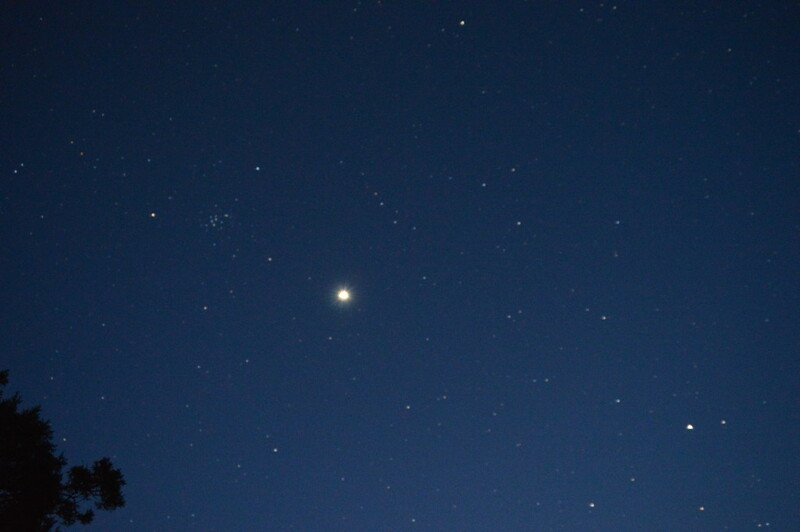 We enjoyed dark night skies optimal for star-gazing and learning more about our camera. We marveled at more cool rock formations. 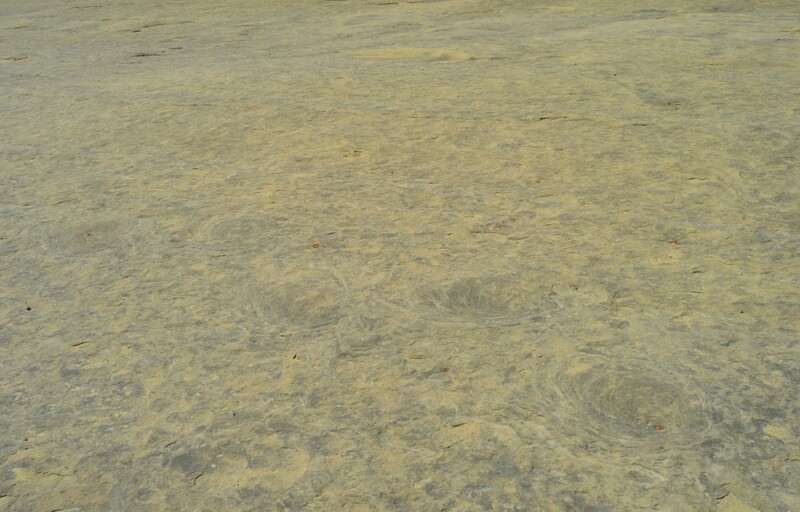 We spent a couple of hours in perfect solitude searching for dinosaur tracks contained in sandstone rock. Look closely below for the circular prints. We did the hike recommended by our brother-in-law, which is among our top five favorite hikes and overall experiences so far. 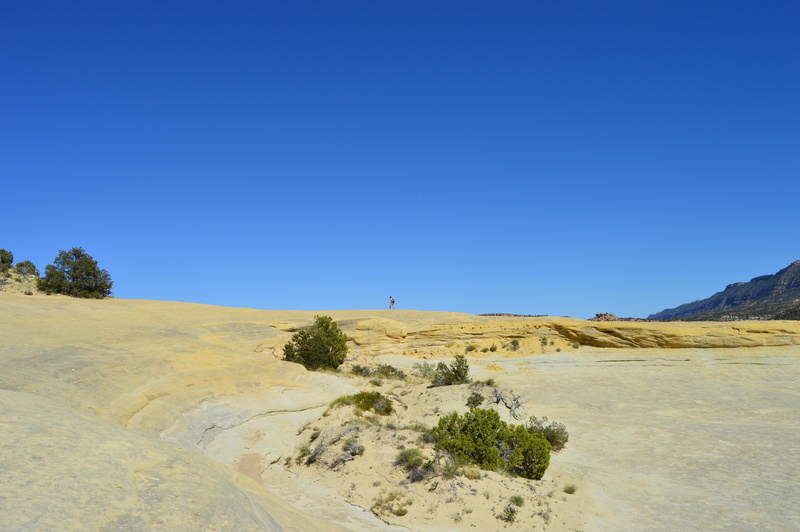 The hike requires driving a little over 50 miles roundtrip on the aforementioned dirt road, then another four miles roundtrip on a 4-wheel drive road in order to reach the trailhead; this nicely limits the number of people who attempt the hike. The hike itself can be done several ways, and we chose to complete it as a loop that connects a short section of Coyote Gulch with two slot canyons called Spooky Gulch and Peek-A-Boo Gulch, which can also be connected to each other via a loop. 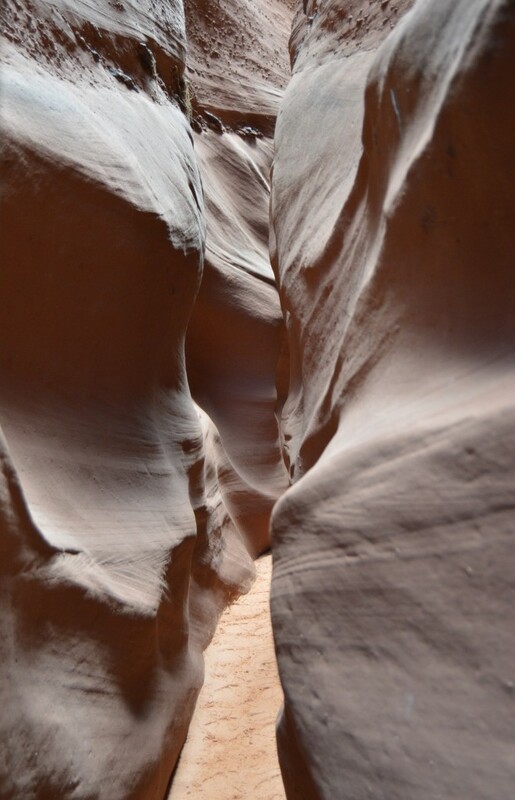 The two slot canyons were awesome, challenging, and super fun. We did Spooky first, as the ascent into Peek-A-Book is steep, tough and requires wading through several deep-ish pools of water; we opted instead to descend into the back of Peek-A-Boo and save the water for the very end (who wants to hike with wet shoes for several miles when you have a choice otherwise?). Spooky was narrow, curvy, and deep the whole way through with a sandy bottom the majority of the time (until the end when it turned into rocks and boulders), and we loved it! At its narrowest point, it was about 10 inches wide. It was a marvel to behold. 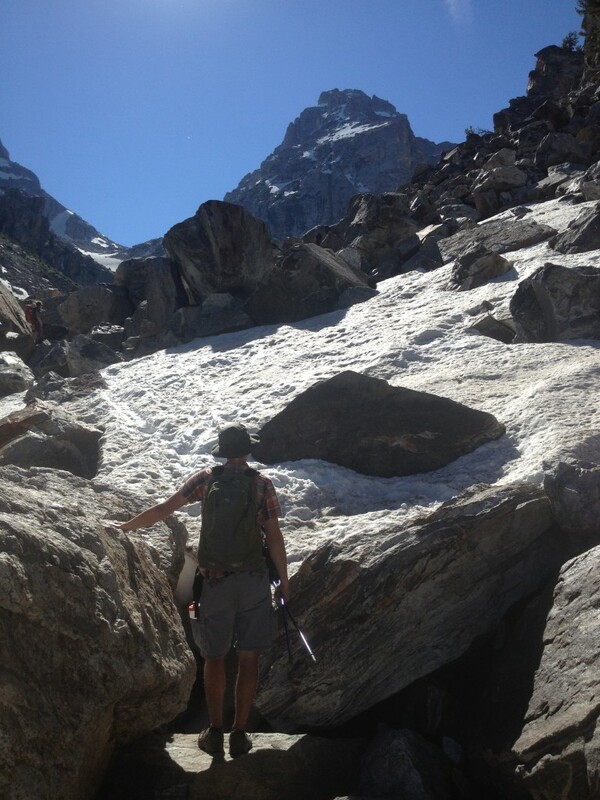 There was some tough ascending at the back end – no equipment needed, but we did have to hoist and pull each other up through some of the tall, steep, narrow sections. About the time we reached the most challenging section, we meet a family coming the opposite direction, which meant we had to backtrack and find separate alcoves to squeeze into in order to give them room to get past us. The family was led by an older man, who we soon found out is nearly 84 years old! Due to the tight space and challenging nature of this particular section of the canyon, we ended up providing a good bit of physical assistance to the family, particularly the older man, which gave us all some good laughs and extra fun. After the family passed us, a pair of really nice guys (and their dog!) in their 20’s came up behind us. We created a bit of an assembly line getting through the back end of the canyon; we passed our backpacks down the line, then up the line to get through the narrowest spots; I led and scouted out the tightest spots, with Jason hoisting me up into the steep, small sections; one of the guys was then able to hoist Jason up and so-on, until the fourth person came up, at which point a person or two could pull him up. There was a really neat sense of comradery to the whole experience. It seemed that every person we met along the trail wanted information/advice about the hike and then shared some in return. 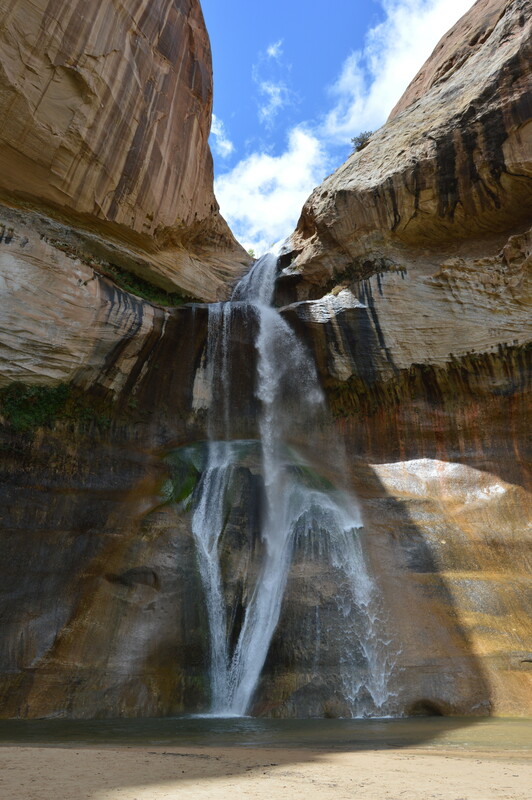 On our last day in the monument, we hiked to this beautiful waterfall via the Lower Calf Creek Falls Trail. It was definitely the most crowded and popular place we experienced in the monument, but still manageable and definitely worth it. To add to the fun, we ran into two of the same groups we saw the day before while hiking Spooky/Peek-A-Boo, including the pair of guys with their super athletic dog. We’re so glad we added this special monument to our trip. We’ll be posting more pictures on our Facebook page soon. Thanks, as always, for following along with our adventure! We love sharing it with you.